Now that the day Saturn leaves Sagittarius for Capricorn is almost upon us, I’m going to add my two cents on the subject. Probably the key to understanding the impact of Saturn in Capricorn is Capricorn is Saturn’s home sign. It is more comfortable there by far than it was in fiery Sagittarius. Saturn finds Capricorn’s penchant for rules and boundaries to its taste, and we need to realize those could be reinforced more rigorously than usual. I suspect we’ll see more examples of “instant karma” hitting those who deliberately choose to ignore the rules. A fact that seems to be overlooked when it comes to Capricorn is it is an earth sign, and earth and water signs are aligned with the feminine rather than the masculine. Of course, Capricorn reflects the crone stage, when the lessons learned as a maiden and mother has been assimilated. Saturn in Capricorn personifies the stern but deeply compassionate elder who has lived through all the trials life has thrown at her and come out whole. Her hard-earned wisdom is there for the asking but we do have to ask because she’ll happily let us learn our lessons the hard way too. During Saturn’s stay in Capricorn, we all will benefit from the fact this Saturn works well with Jupiter in Scorpio, Neptune in Pisces and Pluto in Capricorn. 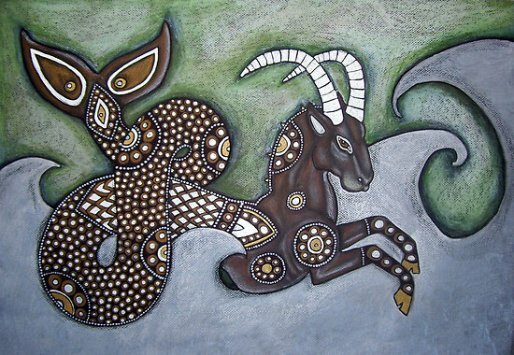 Since Uranus will be leaving Aries for earthy Taurus, Saturn in Capricorn will not be clashing with Uranus either. Earth and water signs are going to be in charge of the Outer Planets for the next couple of years, and it would be a good idea to get used to putting the practicalities first. Two of my favorite posts so far on Saturn in Capricorn include Steven Forrest’s post, Saturn Enters Capricorn, and one from Astrologer Jo Tracey, Saturn in Capricorn. I believe we will be able to navigate the Saturn in Capricorn years with few problems as long as we treat other people’s rules respectfully, behave responsibly on the job and at home. Remember Saturn’s rewards can be slow in coming but they are worth the wait. Being a crone myself, I love your perspective. Thank you for the uplifting advice. You are welcome, Danielle. 🙂 Those of us who made it to the crone stage earned our wisdom . . . usually the hard way! Thanks for this, Diane! Saturn will trine my Mercury, Venus and Pluto, and will station direct in September on my Venus/Pluto. Sounds okay to me! As a Cap sun at 24 degrees I await the grand conjunction with some trepidation. When Saturn was at zero Capricorn last time, my mother was diagnosed with cancer. When it hit 24 Cap she died and my second daughter was born ( Aries/Aries rising). I grew up. Saturn will cross my daughters Uranus at 9 degrees opposite her moon/chiron conjunction in cancer, her Neptune and her natal Saturn at 24 degrees. Thanks, Diane. I enjoyed and felt encouraged by this reflection of yours. We have a similar chart and I was wondering about your take on January 12, 2020. I have Jupiter at 23 Cappy in the second house. That day, Mercury, Saturn, Pluto and the Sun will be conjunct my natal Jupiter. Feast or Famine? Will you have similar aspects? If so what do you think we are in for?